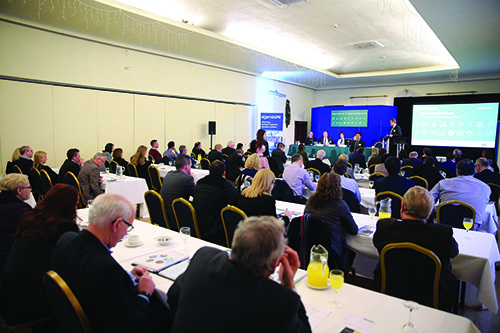 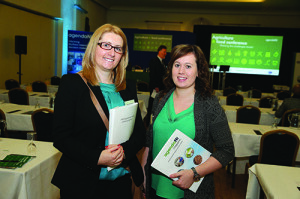 The annual Northern Ireland Agriculture & Food conference took place in December at the Dunadry Hotel. 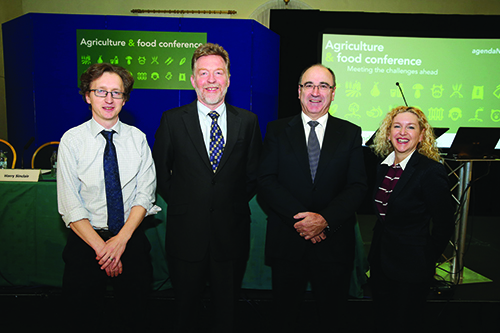 The conference, which was attended by around 100 delegates, heard from key players from within the local agriculture and food sectors who discussed the importance of the agri food sector as a key driver of the local economy and the challenges facing the industry at present. 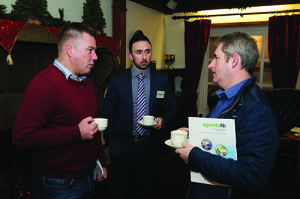 Alan Bristow, Devenish Nutrition ltd; Stephane Durand, Agri-Food Quest, Queens University; and David Gibson, Moy Park Ltd.
Mary Whinnery, Calor Gas with Lisa Gilmore, Calor Gas. 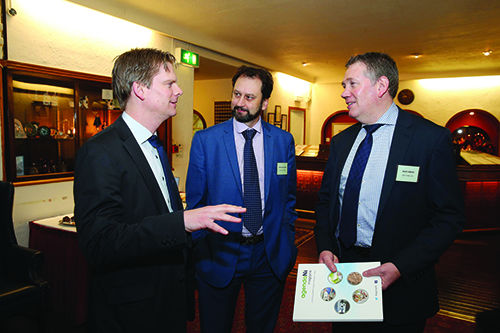 Michael McKillop, Glens of Antrim Potatoes; Leonard Campbell, KPMG; and James McBennett, Avondale Foods. 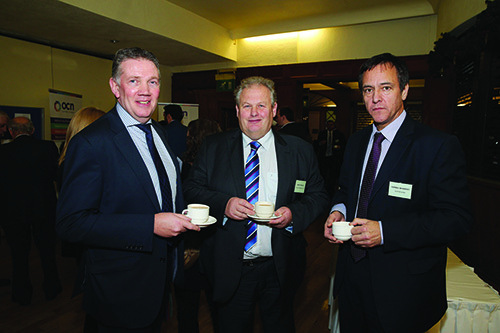 David Gibson, Moy Park Ltd; Harry Sinclair, Ulster Farmers Union, and Cormac McKervey, Ulster Bank. 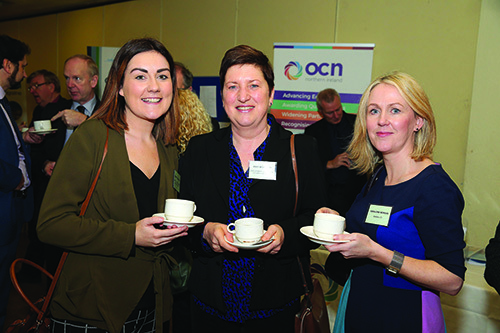 Jennifer O’Donnell, Derry City & Strabane District Council; Emer McGeough, Department of Foreign Affairs & Trade; and Geraldine Morgan, Marsh Ltd.